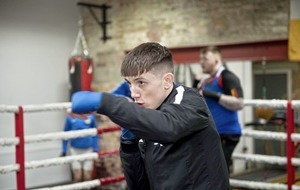 FIGHTS fans can catch a glimpse of the top emerging talent in Ulster when they showcase their skills in a major youth international at the Balmoral Hotel in Belfast on Friday and Saturday night. Teams from France, Spain, Italy, Belgium, Greece and Cyprus jet in this week, with a selection of those fighters in the opposite corner for what promises to be two nights of cracking action. Presented by the County Antrim Board, in association with Belfast City Council as part of the Belfast Boxing Strategy, there are 14 fights slated for Friday and a further 15 on Saturday, with the first bout getting under way at 7pm on both nights. 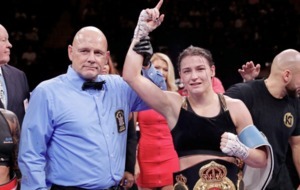 With so many of these fighters in boxing’s equivalent of no man’s land as they await the step up to elite level, such competition is crucial. 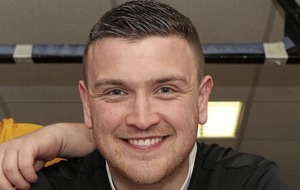 Liam Corr, a coach at the Star club in north Belfast, knows how important it is to keep young boxers – and this age category in particular – active to avoid any potential talent slipping through the net. 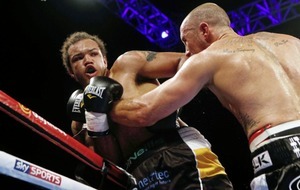 “This age group is what people in boxing would call the forgotten age group,” he said. “They can’t enter the elites because they’re still only 17-18, there are no real tournaments for that age group, so let’s give them a bit of exposure as well and keep them active. “This is the age group where you can lose kids to other things. It’s a lull year, yet it’s probably the most important year group to keep at it because this is your next cycle of Olympians and Commonwealth Games athletes. Many of those boxers involved at the weekend were part of the panel brought together by Ulster High Performance coach John Conlan back in July, as he turns his attention to the 2022 Commonwealth Games in Birmingham. These fighters are the future, and it is only by mixing it against different countries and different styles that they will develop into more rounded athletes, ready to perform on the international stage. “This is part of the journey in building them up to that level,” added Corr. Lee McKee and JP Hale from his own club are among those who will step between the ropes at the Balmoral this weekend, and Corr confidently predicts that there are plenty of boxers in County Antrim and across Ulster who are well placed to go far in the fight game. “It’s a scary high standard,” he said. 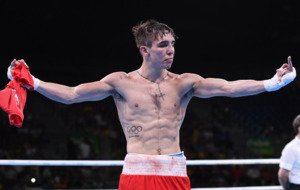 “In the past you maybe had certain weights where you only had one or two elite boxers, the likes of Paddy Barnes at 49, Michael Conlan and Kurt Walker at 56, now you have four or five around the same level at different weight classes. The following Saturday - November 24 - a team from Mayo will travel up to the Balmoral Hotel, with a County Antrim senior team set to travel out to Belgium on November 30. 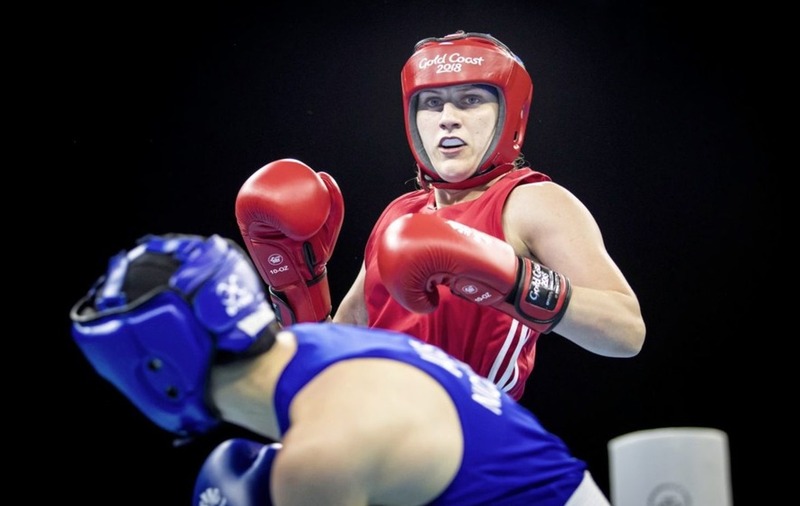 Belfast’s Michaela Walsh will discover who her first opponent will be at the AIBA World Elite Championships when the official draw takes place tomorrow. The preliminary rounds run from Thursday until Monday as the best of the best come together in New Delhi, India. Along with team-mates Ceire Smith (Virginia), Kellie Harrington (St Mary’s), Amy Broadhurst (Dealgan), Grainne Walsh (Sparticus) and Aoife O’Rourke (Castlerea), Walsh took part in a pre-Worlds training camp in Germany. There, they trained alongside the host nation, Greece, Great Britain, Sweden and USA at the German Olympic and Paralympic Sport Centre in Kienbaum before leaving for India on Sunday. 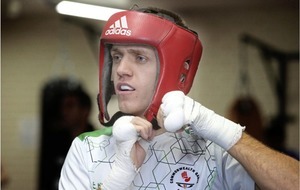 MICHAEL Nevin advanced to the last eight of the European Union Championships in Spain yesterday with victory over Stepan Nikitin. 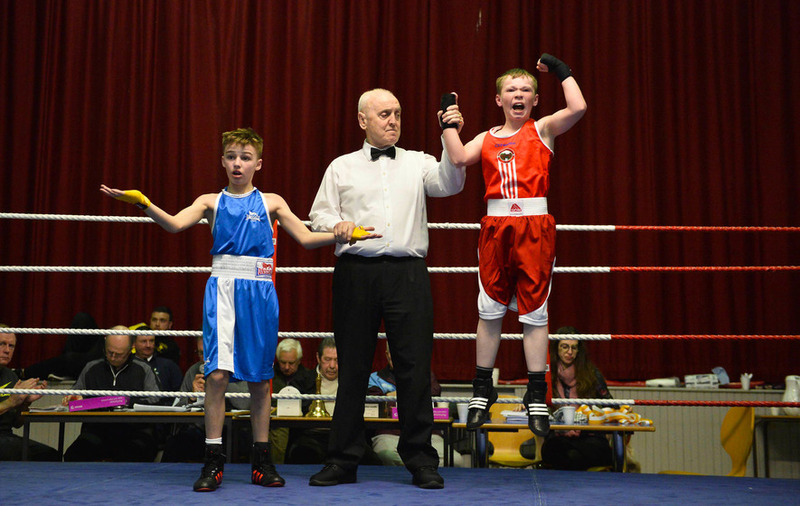 The Portlaoise middleweight battled past the German in an entertaining scrap, and faces England’s Carl Fail in the quarter-final on Thursday. 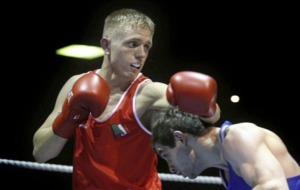 while Galway welterweight Kieran Molloy is up against Italy’s Vincenzo Arecchiai. Heavyweight Kiril Afanasev takes on Croatia’s Toni Filipi (Croatia) tomorrow while Lisburn’s Kurt Walker gets back between the ropes on Thursday, when Poland’s Jaroslav Iwanow stands between the Canal bantamweight and a medal. THERE is plenty of Ulster interest as the Irish senior championships move onto the quarter-final stage in Dublin this weekend. On Friday, Monkstown bantam Conor Kerr takes on Corrib’s Gary McDonald, while there are some interesting looking bouts at 60kg where Teo Alin (Cookstown) faces Patryk Adamus (Drimnagh), 2017 Commonwealth Youth Games competitor Dominic Bradley (Errigal) is up against Paul Alexander (Crumlin) and Castle’s Callum McConnell has been paired with Rivertown’s Martin Noonan. At the National Stadium on Saturday, Lisburn light-fly Chloe Fleck faces Crumlin’s Courtney Daly, while Illies GG welter Caroline Gallagher is up against Karolina Jaglowska (Celtic Eagles). Highly-rated Gabriel Dossen tops the bill at middleweight, taking on Mulhuddart’s Paul Ryan, while John McDonagh (Illies GG) and Shane O’Brien (St Francis’s) face off in the other 75kg showdown. The light-heavyweight division sees another top talent in action as Mayfield’s Tommy Hyde goes in against David Galligan (St Saviours), while Davit Tsotsoria takes on Michael Erpelding (Holy Family). At heavyweight, Pierre Stokes (Leos) awaits Cavan’s Thomas Maughan while Townland’s Eamon Breen faces another fighter from the Athlone club in Marcin Skalski. Derry super-heavy Patrick Rodgers (St John’s), working towards a crack at January’s Ulster Elites, goes toe-to-toe with Crumlin’s Martin Stokes while, also at 91+kg, Loughshore’s Dean Scullion takes on Dealgan’s Keith McEneaney.